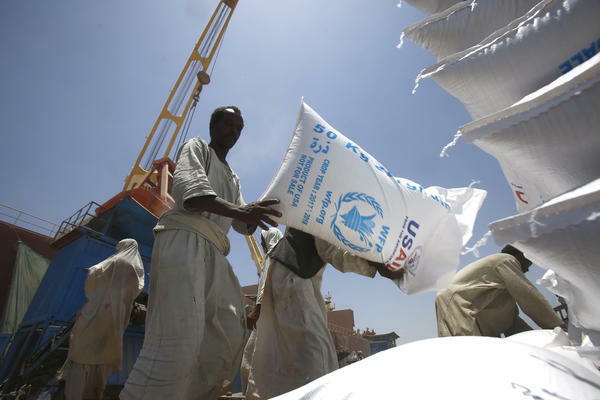 Sudanese dockworkers unload bags of grain from a U.S. ship at Port Sudan on the Red Sea. Do you know how much the world spent on emergency relief? Which countries gave the most money? And which countries received the most? The report is from a London- and Nairobi-based nonprofit organization called Development Initiatives and uses data from the OECD and UNOCHA. A note on the quiz answers: To learn more about the two new countries added to the list of top 10 aid recipients, go here. To learn more about private giving to humanitarian aid, go here.